Guitarist Kevin Peek, who played for the British/Australian progressive rock instrumental group Sky, has died in Perth at the age of 66. Peek’s death is somewhat of a mystery. According to various social media posts by his friends he succumbed to cancer. Classical guitarist John Williams was the founder of Sky and recruited Peek for the first line-up. 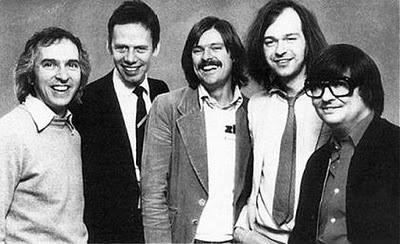 The first album in 1979 featured Williams, Herbie Flowers, Francis Monkman, Tristan Try and Kevin Peek. The self-titled debut album for Sky went platinum in Australia and the UK via an unusual classical meets rock flavoured hit with ‘Cannonball’. The second album, ‘Sky 2’ was another success. The classical piece ‘Toccata’, arranged by Peek, reached no. 5 on the UK singles chart in 1980. Peek had been a long-time member of Cliff Richard’s band and worked with Tom Jones, Shirley Bassey, Manfred Mann and Lulu. In 1991, Kevin left the band to work as a producer in Perth but his financial situation had a turn for the worse and Peek was declared bankrupt twice. He served a three-year jail sentence. In 2010, Kevin Peek was once again in front of the court linked to a ‘Ponzi’ investment scheme and was facing fraud charges at the time of his death.